A college education provides a lifetime of opportunities. Your College and Career Counselor will be there to guide you on your path to achieving your goals. The college application process can be long and complicated but the effort is worthwhile. You must make decisions and complete the work that is required of you, but know there are many people you can turn to for help. It is important to keep the lines of communication open between students and parents as well as with your College and Career Counselor. Students are responsible for their own applications, although their College and Career Counselor is available to assist them throughout the college application process. We will also be using Naviance to prepare and research colleges in addition to completing college applications. College is is just one pathway. 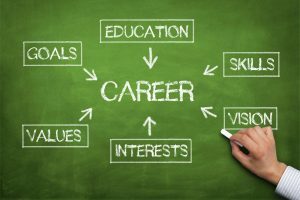 There are many different possibilities to choose from that may better align with your career plans. Please feel free to discuss these options with your College and Career Counselor.